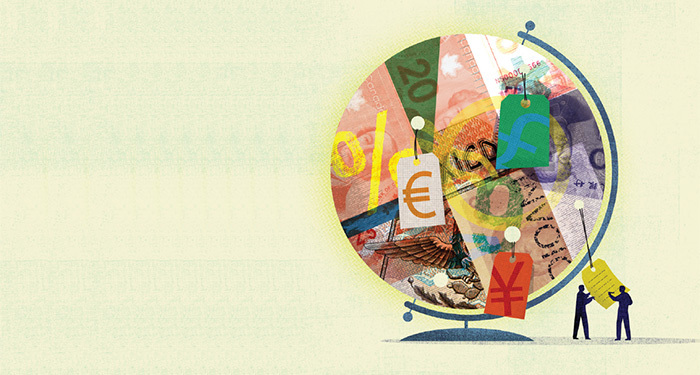 When doing business with another country, the sales tax implications are an important consideration. It is possible for nonresidents of Canada1 to acquire goods and services in Canada for export without having to pay the goods and services tax/harmonized sales tax (GST/HST). It is also possible for nonresidents to provide property, including intangibles, without triggering GST/HST obligations, provided that certain conditions are met. The following provides a high-level summary of some of the GST/HST considerations related to imports into Canada and exports from Canada. The GST applies at each stage of the production and distribution chain. Generally, businesses making taxable supplies of property and services are required to register for, collect and remit the applicable GST on their supplies made in Canada. While GST applies to every transaction throughout the distribution chain, it is imposed on the ultimate consumer; accordingly, businesses involved in commercial activities are entitled to recover the GST they pay on their inputs, including goods imported into Canada, through an input tax credit (ITC) mechanism. The GST/HST is designed as a tax on consumption in Canada; because exports are consumed outside Canada, they are generally not subject to GST/HST. To ensure that exports are not subject to GST/HST, the GST legislation zero-rates (i.e., taxes at the rate of zero percent) certain exports. Zero-rated exports are set out in the Export Schedule of the GST legislation. Certain supplies listed in the Export Schedule must be supplied to nonresidents to qualify for zero-rating, whereas other supplies must be supplied to nonresidents who are not registered for the GST/HST to qualify for zero-rating. Thus, when a nonresident sells goods to Canadian customers, delivers the goods to the customer in Canada, and acts as the importer of record, five percent GST will be payable by the nonresident in addition to any applicable customs duties. (e) the Canadian supplier maintains evidence satisfactory to the Minister [of National Revenue] of the exportation of the property by the recipient. Division II GST/HST applies to supplies of tangible personal property made in Canada, meaning tangible personal property delivered or made available in Canada. However, where the intent is to export goods, provided that the conditions above are met, no GST/HST will be payable. Supplies of tangible personal property made outside Canada—i.e., delivered or made available to the purchaser outside Canada—are beyond the purview of the GST/HST. Thus, another option available to nonresidents, to ensure that no GST/HST is payable on goods to be used outside Canada, is to have the Canadian vendor deliver or make available the goods outside Canada. The documentation between the parties should be clear as to where delivery takes place. Although a service may be excluded from this provision, it may nevertheless qualify for zero-rating under another provision in the Export Schedule. Nonresidents making supplies to Canadian customers also need to consider the GST/HST implications. As indicated above, Division III GST applies at a rate of five percent to most commercial goods imported into Canada. Thus, when a nonresident sells goods to Canadian customers, delivers the goods to the customer in Canada, and acts as the importer of record, five percent GST will be payable by the nonresident in addition to any applicable customs duties. If the nonresident importer becomes GST/HST–registered, it will be entitled to recover the five percent GST paid on import and will be required to charge the applicable GST/HST to its customer in Canada. The supply of property or a service made in Canada is generally subject to GST/HST; however, this remains subject to the nonresident override rule. Supplies of property (with the exception of real property) or services made in Canada by a nonresident who is not GST/HST–registered will be deemed to be made outside Canada and not subject to GST/HST unless made by the nonresident while carrying on business in Canada. Thus, for GST/HST purposes, whether a supply made by a nonresident is made in Canada depends on whether the nonresident is carrying on business in Canada (and whether it is GST/HST–registered). If a nonresident is not carrying on business in Canada and is not registered for GST/HST purposes, a sale of tangible personal property made by a nonresident in Canada will be deemed to be made outside Canada and not subject to GST/HST. The importer of record, however, will have to pay the five percent Division III GST payable on importation of the goods. The question of whether a nonresident is “carrying on business in Canada” is of secondary interest to income tax practitioners, because the focus, for income tax purposes, is generally on whether the nonresident has a permanent establishment in Canada. The question of whether a nonresident is “carrying on business in Canada” is of secondary interest to income tax practitioners, because the focus, for income tax purposes, is generally on whether the nonresident has a permanent establishment in Canada. Although GST/HST implications may arise if a nonresident has a permanent establishment in Canada, the fundamental question is generally whether the nonresident is carrying on business in Canada for GST/HST purposes. To avoid GST/HST obligations, a nonresident vendor can deliver or make available goods to its Canadian customer outside Canada. The nonresident vendor would have no GST/HST obligations, and the Canadian customer would import the goods into Canada and pay the Division III GST upon import. If, however, the nonresident importer does not wish to register for GST/HST purposes, another option is to flow through the ITC entitlement with respect to the five percent GST paid on import to a resident customer. The GST legislation has a provision that allows a nonresident who is unregistered for GST/HST and who pays the five percent GST on import to flow through to its Canadian purchaser, who is GST/HST–registered, the right to recover the GST paid on import. This requires the nonresident importer to provide the importation documentation (i.e., the B3, the Canada Customs Coding Form) to the Canadian customer and for the Canadian customer to claim an ITC for the five percent GST paid on import in its own GST/HST return. 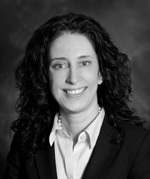 Wendy Brousseau is a partner at McCarthy Tétrault LLP. While it is beyond the scope of this article, subject to certain deeming rules the GST legislation defines a “non-resident” as not resident in Canada. Under Division IV, tax is levied on certain imported services and intangibles. The Province of Québec has harmonized the Québec sales tax (QST) with the federal GST; however, unlike taxes in other harmonized provinces, the QST is a separate tax imposed under provincial legislation. The QST rate is currently 9.975 percent. The provinces of British Columbia, Saskatchewan, and Manitoba impose a separate provincial sales tax in addition to the federal GST. The exceptions are (a) a service rendered to an individual in connection with criminal, civil, or administrative litigation in Canada, other than a service rendered before the commencement of such litigation; (b) a service with respect to real property situated in Canada; (c) a service with respect to tangible personal property that is situated in Canada at the time the service is performed; or (d) a service of acting as an agent of the nonresident person or of arranging for, procuring, or soliciting orders for supplies by or to the person.